For players who want more depth to their gameplay and do not want to rush to the end game. Recipes are designed to encourage a more leisurely progression with plenty of experimentation and exploration along the way. This is NOT an expert-style pack that simply makes everything harder and more grindy in order to slow you down. It is not an HQM pack that forces you through a predefined progression. 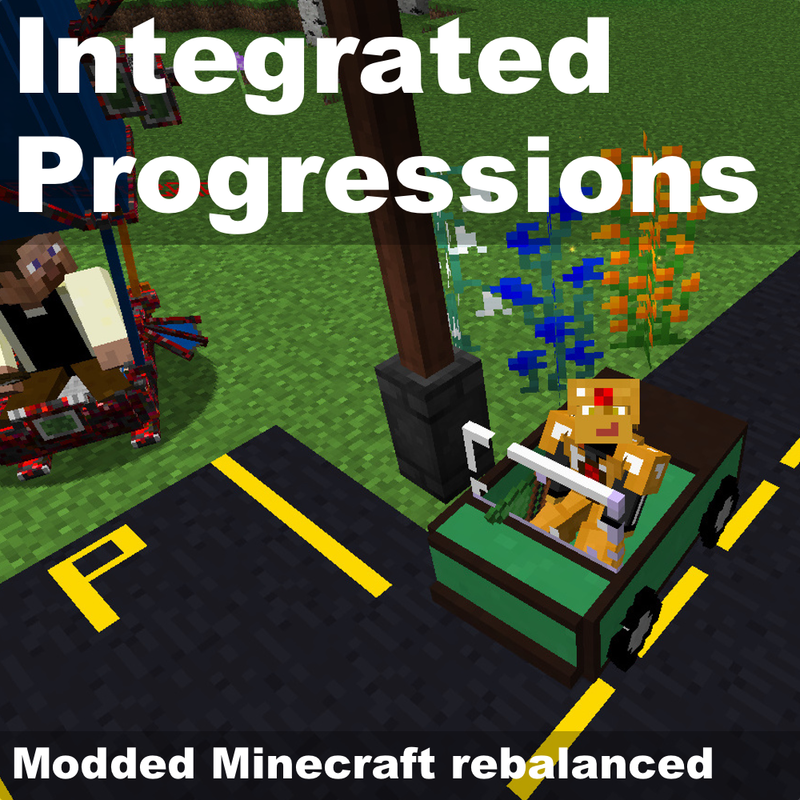 It is a free play pack that stays true to the sandbox nature of Minecraft while re-balancing mods to flow better together. Many recipes and world gen have been adjusted to better balance mods together. Some powerful, and otherwise cheap, items have been made more expensive. Less powerful items have been made less expensive. You'll need to get involved with a few more mods than usual in order to reach some of your later game goals, such as creative flight. You will usually have multiple options to choose from. You will spawn with a guidebook that explains options and paths available to you. The book emphasizes things that have been changed from the original mods. Feel free to leave any comments or questions on the Curse Forge project page. If you run into any bugs, post them here: issue tracker. WARNING: Advanced Rocketry is currently in alpha testing. Serious bugs may exist with this mod. Yes you can. In configs/ftbutilities.cfg file, you can either set enable_motd=true to enable_motd=false on line 101 or change or delete the motd on line 108. Unfortunately, you'll have to do that after each pack update, because the file will be replaced. I decided not to include ET in this pack. It has some really useful and powerful features, but it doesn't really fit the balance I was going for. Thanks for the suggestion! Thanks! I'm pretty happy with how it turned out. Thanks so much for your help with testing, balance suggestions, the manual, and of course, the nutrition values!